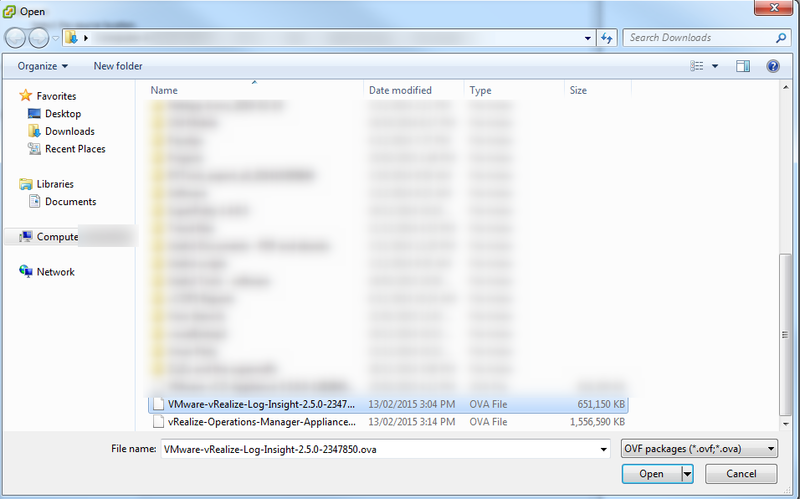 Go to VMware vRealize Log Insight web page and download the vRealize Log Insight OVA file. You will need a VMware account for this and you will also get a 60-day trial license key. You can also check out the VMware vRealize Log Insight Getting Started Guide and the vRealize Log Insight Administration Guide for more information of what to do within Log Insight. Once you have downloaded the appliance you can go into vCenter and select Deploy from OVF Template.